Baked cauliflower at its best! Baked cauliflower at its best! 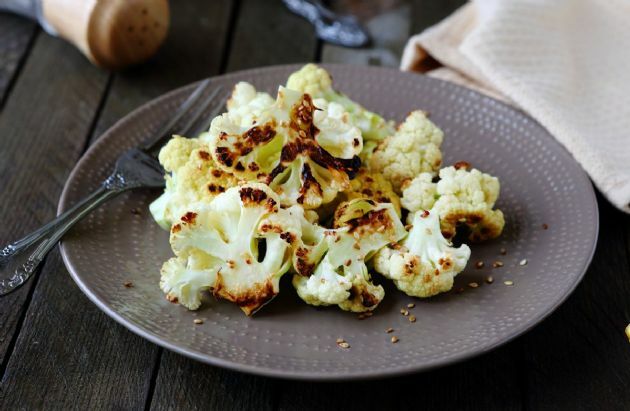 In a medium bowl, combine the cauliflower and spices. Toss to mix. Drizzle on the oil and toss again. Transfer the mixture to a small nonstick baking dish. Bake for 15-17 minutes, tossing as needed, or until lightly browned and crisp tender. Serve immediately. Makes 1 serving.